The Nature Center is located at 330 N. Main St, Crystal Lake. Located in Veteran Acres Park, The Nature Center is an ideal starting point for a hike through the Veteran Acres Woods and Wingate Prairie. 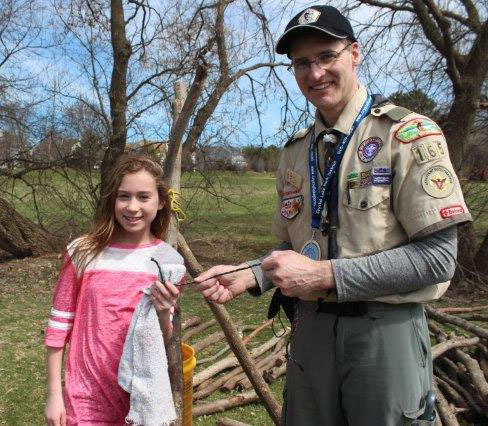 It is the mission of the Crystal Lake Park District Nature Center to improve the quality of life for the community by providing nature recreation in the form of high quality native ecosystems through natural restoration and preservation, and formal and informal nature education. Since the Nature Center re-opened in 1998, we have upgraded and are constantly striving to improve our facilities, but our goals have remained the same. 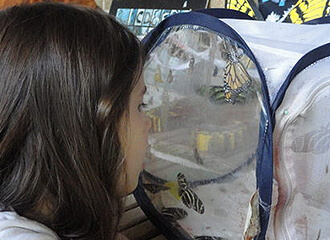 Open year-round, we provide a unique opportunity for anyone to experience nature through progressive programs, hands-on activities, seasonal exhibits and volunteer opportunities. Located in Veteran Acres Park, the ideal starting point for a hike through the Veteran Acres Woods and Wingate Prairie. The Nature Center is a grateful recipient of an amazing collection of fossils donated by Paul Friend, a longtime Crystal Lake resident and amateur fossil collector. The extensive collection would be at home in any natural history museum in the world, but Mr. Friend donated them to the Crystal Lake Park District Nature Center because he wanted to be sure that the collection would be on display for people to enjoy. Most of the fossils are from an area in northern Illinois, south of Joliet, and are considered to be Mazon Creek Fossils. Fossils from this area are world famous because of their quality and diversity. They are unusual in that they preserve soft bodied animals as opposed to the fossilized remains usually found like teeth, bone and shells. The Mazon Creek Fossils are from plants and animals that lived during the Pennsylvanian period of roughly 300 million years ago when much of what is now Illinois was covered by a shallow inland sea. The fossils were first unearthed when the area was mined for coal. The locations where Mr. Friend found most of his collection are referred to as Pit 11 and Pit 14. These two locations are known throughout the world as the source of many of the Mazon Creek Fossils and refer to the mine pits of the Peabody Coal Company. Arthropleura cristata - Segments from a millipede that reached up to 6 feet in length. This fossil is quite rare due to the fact that so few have been found in North America. Both the Field Museum and the Burpee Museum have reproductions of this exact fossil. Tullymonstrum gregarium: Also known as the "Tully Monster" this is the state fossil of IL. No one is quite sure what it is because nothing alive today even remotely resembles it. It is also unique in that fossils of the "Tully Monster" have only been found in Illinois and nowhere else in the world. 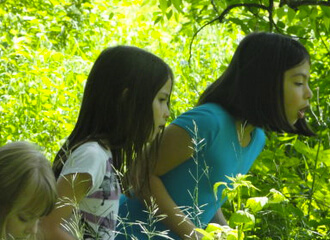 The Nature Center offers nature themed programs year-round. Please see the current brochure for current programs. Geocaching is an outdoor activity that pairs GPS technology with an old-fashioned treasure hunt. Geocaches, or caches are small containers that usually have small trinkets to trade and a log book to sign when it is found. Once a cache is hidden, the longitude and latitude are posted on the internet for all to find. Geocaches are hidden all over the WORLD and quite a few in our PARKS. All you need for this adventure is a GPS unit. If you are interested but don't know if you want to invest in a GPS unit, we have a limited number at the Nature Center that can be checked out, free of charge. We will then give you a quick "how to" session and you're on your way to finding one of the many caches in Veteran Acres. Our Birthday Party Programs are 2.5 hours and consist of 15 minutes for set-up, a 1 hour instructor lead program, 1 hour of "free time" for gifts and cake (not provided) and 15 minutes for cleanup. Fee: $140 (includes up to 15 participants). Each additional guest will be charged $6 at the time of the party. We kindly request a two week notice. Please call the Nature Center to schedule your party. For more information please visit our Birthday Party page. Are you looking for a different idea for your club or organization's next meeting? You can schedule on of our Traveling Naturalists to visit your meeting! These 1 to 1 1/2 hour programs include hands-on activities and knowledgeable instructors. We have a variety of topics and can tailor a program to meet your needs. School Districts, preschools, home school, clubs and more have benefited from our field trip programs. A typical program will last from 1-2 hour and will feature a hike and multiple educational station covering most any nature topic. Troops can schedule programs on desired date. The natural areas found throughout the Park District offer a variety of opportunities for volunteers to make a difference by helping the environment. Individuals or groups can benefit from the rewarding and education experience of restoring our native ecosystems. The Crystal Lake Park District has a 24 foot tower ready to climb! 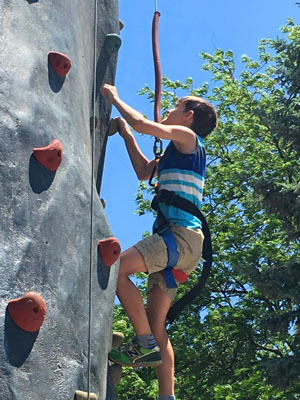 With three skill levels to explore, the climbing tower allows small groups to enjoy a few rounds of climbing. All required climbing gear is included. Participants need to wear rubber sole shoes suitable for climbing. Weight capacity for climbers is 250 lbs and wind conditions may not exceed 20 miles per hour when tower is vertical. Climbers must have a parent/guardian sign a waiver prior to participation.